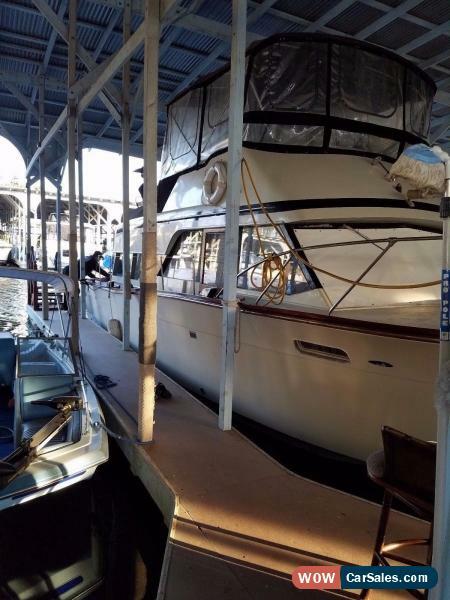 This model is an ideal vessel for live aboard or makes for roomy family cruiser for the perfect weekend getaway up the delta. The aft cabin layout has two twin beds with en suite head and shower. There are plenty of closets and drawers to keep you organized. Forward of the aft cabin is the Salon with an shaped sofa and ample seating. Opposite is the galley with burner Princess stove top, oven with broiler, microwave and refrigerator freezer. There is navigation station as well for operating the vessel indoors on colder days. Forward of the Salon and Galley is another head and V-Berth. You're on the water so where else would you want to be but outdoors. 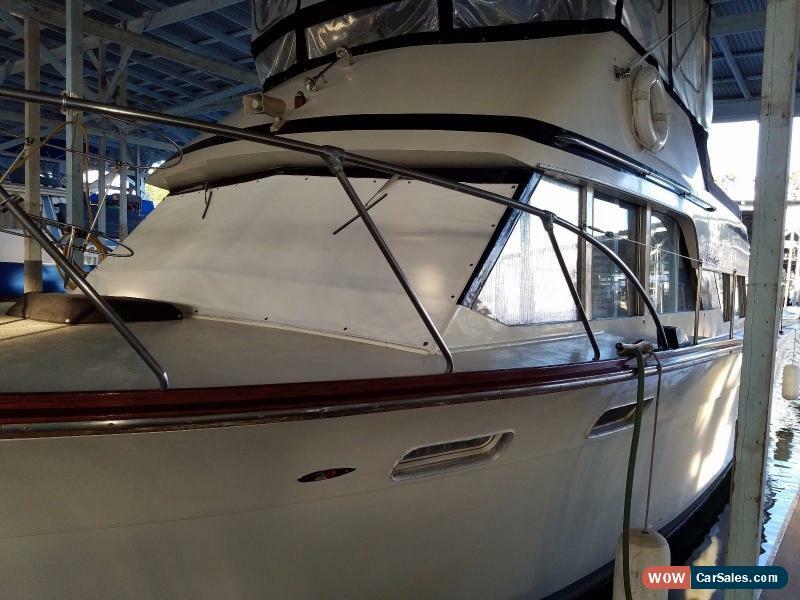 This yacht features sun deck with plenty of room for lounging or entertaining. Steps up from the sun deck is the bridge with seating for at least eight. All the controls to operate the vessel from high above the water are inside the bridge. To maximize comfort you can fully enclose the bridge or leave open on warmer days. The sundeck has separate Bemini to provide shade. For fun days of swimming or fishing there is nice sized swimming platform as well. 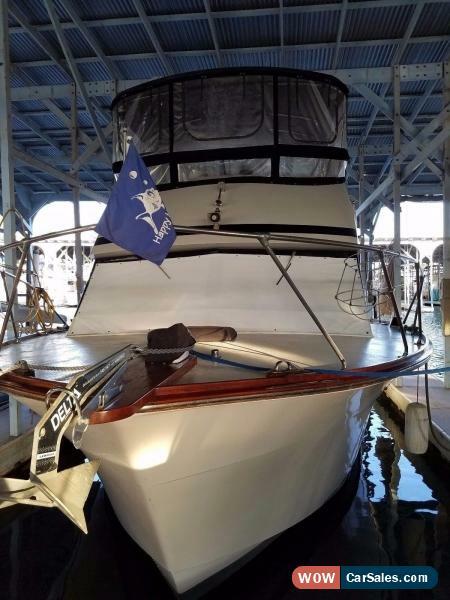 Very nice vessel ideally suited for the maximum amount of enjoyment and comfort on the water. Generator needs small part.